For every Blogger, the thought of how to increase website traffic is what comes to mind most times. This is simply because blogging without having traffic to your website/Blog is simply a waste of time, as there will be no meaningful progress. However, having an increase in website traffic requires you to write quality content, but Writing quality content alone is not enough, you need traffic to go with it. In this article today, i will teach you how to increase website traffic in Five simple steps. As a Blogger/Web Master. the first thing you need to do if you want to increase website traffic is simply to create quality content. I bet you’ve come across the term “Content Is King” in the past. Creating quality content helps to turn your first time website/blog visitors into regular readers. It also helps to build trust and establish your blog as an authority in whatever niche you are writing about. However, when creating contents for your blog, try to ensure that it meets a specific need or helps to solve a problem. If you have difficulties finding topics or ideas to write on, try checking out forums like Quora for insights or tools like Google Keyword Planner or Keyword Tool to discover trending topics and what people are searching for online that is related to your niche. When creating content for your Blog/Website, ensure most of it is timeless and ever popular. Timeless content is the type of content which can stay forever useful on the web without being made irrelevant with time. Take for instance, a post about the Top Richest Sportsmen For 2019 will have no useful value in the coming years, while posts like How To Make Money Online With Ease or How To Monetize A Website will always stay relevant over the years. The first thing a visitor takes note of when reading your blog post is the HEADLINE. Your ability to create attention grabbing and catchy headlines for your content makes you unique and gives you an edge over other bloggers in your niche. This is simply because your HEADLINE is what compels visitors to visit your website, and no matter how well written your content is, if the HEADLINE isn’t compelling and catchy enough, then the CTR( click through rate) would be very low thus resulting to low traffic. So, be creative and daring with your post HEADLINES, it should be convincing enough to make visitors click on it. Checkout:The BRAND NEW “Secret Traffic Portal”Used By Netflix, Youtube, Disney & Amazon To Drive TONS Of Traffic For FREE!!!! One cool way to help increase website traffic is by collecting emails from your blog visitors for a newsletter. Newsletters has proven to be very effective for increasing website traffic as you can send mails which feature some of your best blog contents on a weekly or monthly basis to those email subscribers. This method helps bring back your regular blog visitors, and who knows a few of them might decide to share some of your contents across their social media profiles thereby resulting to an increase in web traffic. For you to be successful and make something from Blogging, then you need to pay attention to Keywords & SEO. According to Wikipedia; Search Engine Optimization(SEO) is the process of affecting the online visibility of a website or a web page in a web search engine’s unpaid results—often referred to as “natural”, “organic“, or “earned” results. In general, the earlier (or higher ranked on the search results page), and more frequently a website appears in the search results list, the more visitors it will receive from the search engine’s users; these visitors can then be converted into customers. Now, SEO may target different types of search such as Image search, academic search or video search, and Keywords are an important part of SEO, because when you write your contents around SEO optimized Keywords, the possibility of your web page ranking high for that particular Keyword(s) increases. icon-checkAre Long-Tail Keywords Important for Bloggers? Keywords come in (9) nine different types, but we will be looking at just one of them in this article. Long tail keywords are simply search terms which comprises of more than 3 keywords. Long tail keywords are easier to target and rank for, and they are also cost effective in terms of (PPC) pay per click advertising, because of the low competition volume for them. As a newbie blogger, i’ll advise you target only long tail keywords if you really want to rank high on search engine results. For instance, if you want to rank for this particular keyword “Blog Traffic”, probably because you are an SEO and Blog Traffic generation expert, the possibility of this happening is very slim because this keyword is very very competitive. Alternatively, if you decide to go for a long tail keyword like “How to drive traffic to your website or How to drive blog traffic’, then you stand a better chance of ranking higher for those search terms. Now, after our brief introduction to long tail keywords, the big question is how to find them. A good place to source for long tail keywords is on Google. Simply type in a phrase or search term and take note of the auto suggestions generated by Google. 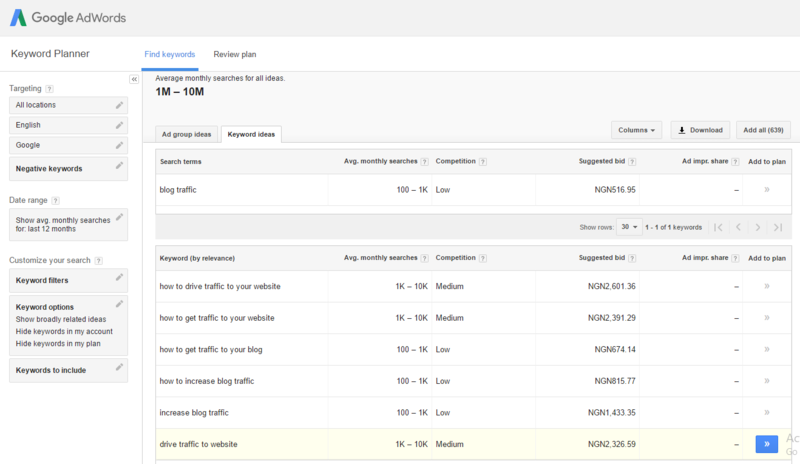 The next step is to copy all the long tail search terms which you were able to find and put them into Google Keyword Planner. Select from the search terms which drives more traffic, and choose the ones with high search volumes and low competition. This is how to search for long tail keywords and use them for creating your blog content. When it comes to increasing website traffic and promoting your blog, nothing beats the power of social media. There are so many social media platforms available now which bloggers can take full advantage of to grow their blog and increase website traffic. Personally, i will recommend Facebook & Twitter due to their huge popularity. So, having profiles on any of these social media platforms can help increase website traffic especially when your contents are shared on them, they could easily go viral. You can also build a community of followers on social media, and occasionally ask them for retweets or shares for your posts among their friends or on Facebook groups and pages related to your niche. 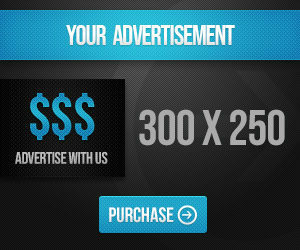 This is another effective way to increase website traffic. A slow loading page is a major turn off to most online users, when your page takes too much time to load, you will loose visitors who would gladly move on to the next listing. As a web master, you should ensure that your site is well optimized. Tools like Google Page Speed Checker, GTmetrix and PingDom will help provide you with actionable insights. Connecting with other bloggers in your niche will help increase website traffic as time goes one. 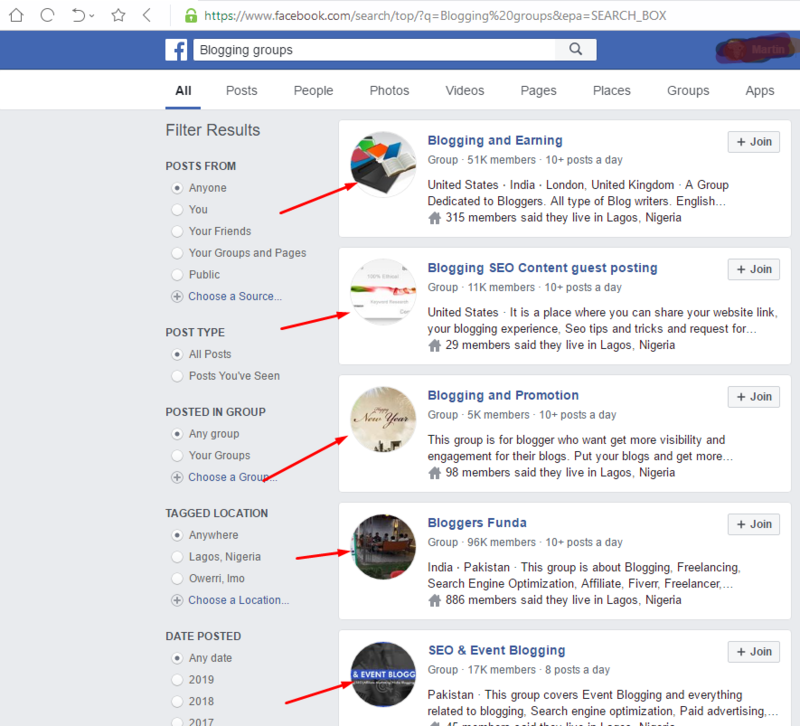 You can achieve this by exchanging backlinks with them and Guest Posting on their blogs. Or, you can even cite and mention other bloggers in your niche when writing contents and proceed to tag them when sharing your posts to notify them. Doing this increases the chances of your post being retweeted or shared by other bloggers, and the result is usually an increase in web traffic. The steps discussed in this article is sure, quick fire way to help increase your website traffic. 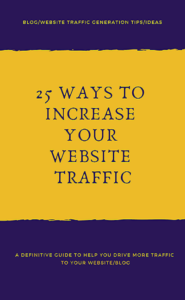 You can also download my FREE E-BOOK on “25 Simple Ways To Help Increase Your Blog Traffic” as well. Practice all the steps listed in this article, and see how quickly your traffic would SPIKE up. You might have heard how a few insiders are making money, selling their own digital products. It’s no secret, that selling your own ebook or software, is THE best way to profit in 2018. And without doing any of the usual hard-work? ?